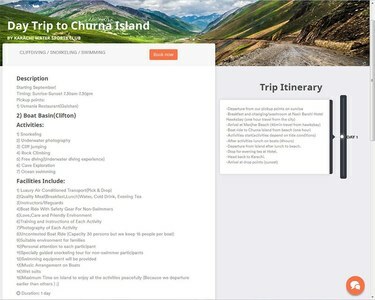 This start-up helps travelers explore beautiful parts of Pakistan. Should you try it? Who doesn't suffer from unhealthy levels of wanderlust? Almost everyone I know dreams about taking a break from the city to discover the wonders of the natural world. Don't you ever wish to go swimming with swarms of fish, breathe in the fresh mountain air or rediscover yourself as you hike across some of the most beautiful valleys in the world? While our imaginations know no boundaries, we are often held back because of the logistics and planning that go into these dream adventure holidays. Finding the right travel service, places to stay, the right gear to pack and attractions to visit becomes an overbearing experience. But one start-up is hoping to bulldoze these hurdles. FindMyAdventure.pk was created with the aim to encourage people to shed fears associated with venturing out into undiscovered pastures. 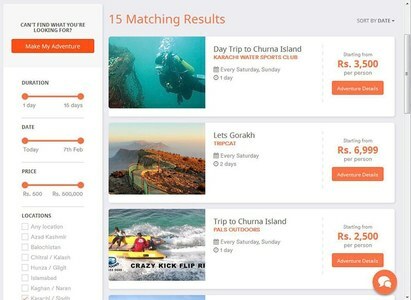 The startup is looking to make everything from deciding a location to booking accommodation and travel arrangements, as easy as a few clicks. It all began with a group of six friends that had to face their own fears in order to bring the vision of FindMyAdventure to life. Leaving their well-paying corporate jobs for an unexplored industry was a calculated risk Syed Haider Raza, Husnain Malik, Shozab Naqvi, Komail Abbas, Khwaja Raza Abbas and Ali Yousuf took back in mid 2016. "The choice was between a conventional 9am to 5pm career or a chance to really work on something we cared about and making a difference. The risk of failure, however daunting, was something that did not hold us back." Haider Raza, co-founder and CEO told us, "We decided to take the risk and pursue our passion." The company says it has now served over a thousand satisfied customers and as word of mouth spreads, demand for their service keeps going up. These entrepreneurs combined their passion of travelling, love for Pakistan and a drive to make create a positive image of their country to create FindMyAdventure. Design: Is less more — or too little? Before we get ready to explore Pakistan’s vibrant landscapes, we set down to explore the website itself. FindMyAdventure is keeping everything as simple as possible. Their design aesthetic compliments their vision of providing a simple solution to travelling. While the minimalistic design of the website is something that pleased me initially, as I spent more time on the service I felt as though the idea was taken beyond its charm and is often over simplistic. The overall design is beautiful and very easy to use for everyone but at times it may seem like work in progress. My first impression of the website led to the expectation of finding high quality photographs of potential tour destinations. However, I was disappointing to discover that everything is left to the imagination, as the service provides no visual references for any of Pakistan's heavenly sights. Personally, photographs of places, accommodation and activities would help me make a more informed decision. Conventional travel and tourism services usually stuff their homepages with too much information and options, without keeping an eye out for design and usability. This sometimes overwhelms users and results in inaction. Both lists appear automatically when you click in the search box. An exciting promotional video is featured on the homepage, showing the inspirational, feel-good story of a foreign tourist travelling through some of the most breathtaking destinations of Pakistan. I have to say it is quite motivating and by the end of it I just wanted to start packing my bags and be on my way. While the video is a great promotional tool, it does not touch upon the functionality of the service or show the website being used to make such travel arrangements. Once you have made your selection and searched for a particular activity or desination, reslts are presented in a neatly composed list. Each result has a basic overview of the adventure, including its price per person. You can further narrow the list using optional filters that can be easily tweaked to fit your requirements. Additionally, if none of the pre-existing plans fit your criteria, you have the option to request a customised travel plan using the “make my adventure” form. Once you select a tour of your liking, it is presented in an organised and comprehensive timeline along with highlights and a list of activities for each day. The tour page also features all the main attractions of your destination. If you like what you see, you can book the tour with a single click. The service offers three payment methods to users, including 'Cash Collection' where a representative of the company will collect payment from you from a location of your choosing. FindMyAdventure is a cleverly crafted website but when it’s time to pay, I’d like to see a bit more information than what is provided. The FAQ page didn't answer questions like who am I dealing with exactly? Is it the tour operators or FindMyAdventure? Who is responsible should something unforeseen happen? Where is my money going? Do they have the experience to organise all the things they are claiming? How will they ensure safety and security for my loved ones? Trust is the first step to creating a sense of security and is something the company needs to effectively develop with its users through transparent information and open communication. The website asks for all my private information and requires me to pay for its services in advance, yet it does not provide clear information about the actual show runners that will be taking me out on tour. They may not be intentionally keeping this information from users but there is little they have done to make it easy for users to know details about their tour operators. Think of FindMyAdventure as an online store where tour operators sell their services directly to consumers. FindMyAdventure promises to supervise the entire tour operation, making sure their partners deliver the best service and their customers enjoy the experience they are promised. Any tour operator can be FindMyAdventure's partner but according to the company, they must go through a vetting process to find a place on the service. One of the most sensitive subjects, when it comes to travelling within Pakistan, is security. It is still one of the biggest reasons why many people are hesitant to explore the country. FindMyAdventure ensures that it only works with tour operators that have plenty of experience and a history of satisfied customers. "Safety and security concerns are addressed via partners' work history, profile and an overall background check. Through this process, our customers travel with the assurance that they are in capable hands." Haider explains in response to questions about customer safety. Getting in touch with FindMyAdventure is not as straightforward as finding a dream trip using their service. You are given a single phone number and one chat box. Once I logged into my account, the phone number disappeared and I could no longer see it unless I logged out. There is no ‘About’ section providing information about the company or any additional contact information. Another major let down for me was the absence of a ‘Policy’ page, something that is vital for a service of this nature. Furthermore, the website does not feature a single navigation tool directing users to their social media accounts. Things get worst for smartphone users as the single contact number also disappears completely on the mobile version of the website. While there is currently no smartphone app for FindMyAdventure, I was glad to hear that it is under development and will be rolled out in the near future. While it may seem as though the cons outweigh the pros, it should be noted that any criticism pointed out can be very easily fixed. I like the name, I love the logo and I like the fact that users can navigate the website without having to sign in. 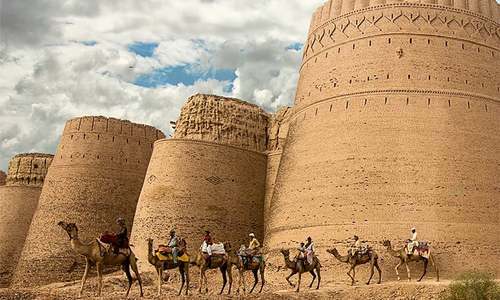 Travel and tourism is a massive industry across the world and Pakistan has no shortage of its own dream destinations. Startups like this are a welcome inclusion into this industry and can go a long way in connecting people with the beauty of our country and its vibrant cultures. 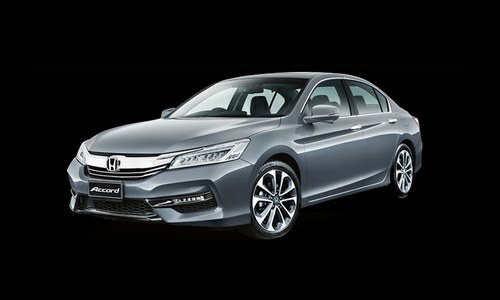 Is the new Honda Accord worth the Rs11 million price tag? Though did not experience it however it seems by exploring their website, an excellent service being offered in Pakistan. Congratulation to the team 'FindMyAdventure' and thanks to the Dawn and Munir Rahool for making us aware of it. Sounds good! Hope more similar services keep coming up. And impartial reviews like this will only help them improve. This is the development i am dreaming of. There are a lot of similar websites such as booked .pk for booking of marriage halls. Clearly there is more work to be done to 'assure' the would be client/adventure seeker of the tour operator in the event things going wrong! The 'surety of vital services' when things don't go to plan! The video doesn't take into account southern Pakistan, it's all northern based. The term as and conditions for the Karachi to Gwadar beach trip are from the Neelum valley trip. The picture used at the top is for the mountainous regions, yet the trip being offered is for the southern beaches. 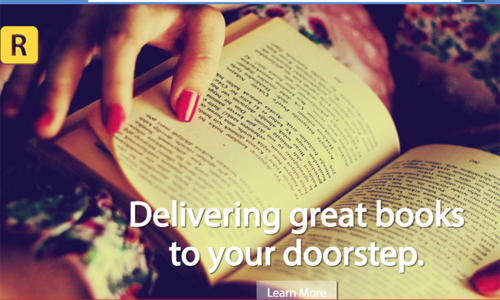 The website is also lacking basic editing. It's a good start but the team needs to get on to this if they are to succeed. These small things make all the difference especially when building trust. Although I'm glad this sort of thing has begun in Pakistan now. Another major market to hit is the overseas Pakistanis, who come to Pak but don't want to spend all the time visiting relatives. There is also no email contact us, it's almost a s of the company is scared to hear from people. That aside I wish them all the best and thanks for your review. Win win in the long run. Pakistan is one of few countries in the World blessed with amazing breath taking beauty. Good to have technology helping people learn the real beauty of my Indus Valley Land, the cradle of civilization. Thank you Almighty for this beautiful gift of Pakistan you gave us. What a stunningly beautiful country. Love you Pakistan. All the protectors of Pakistan Zindabad and Pakistan Paindabad! Pakistan has to do much more to get tourists from the outside world, first the safety factor, and then the facilities provided to them. If there are no modern settings and what will they do when night falls. Tourism dept. should hire professionals who can go abroad and see the tourist resorts and develop that place on those lines. I am from Pakistan but I will never dare to go there no matter its heaven on earth , my safety comes first. @imtiaz Faruqui I respect your words yaar. What you have said about improvement will happen when the corrupt billionaires stop ruling our Pakistan. These PMLN,PPP the two big league looters in the center rule past and present are the problem, before anything gets better things at the helm of affairs needs to change. The fish rots from the top. Shanti. Steps taken by FindMyAdventure are in the right direction and they should be given time to improve and pivot themselves as a business. 2016 was an extraordinary year for tourism in Pakistan and let's hope it stays stronger and improves with every year. I am an expat living in Germany and several International friends used to ask me about places to visit, documentaries to share, experiences of foreign tourists and important instructions for foreigners. Google didn't help much and our official tourism websites are really screwed up. So I started this side project where I compile all these information whenever I read something relevant. You can also checkout it here http://wahibhaq.com/pakistan-unveiled/ and I would love if you'll share it with your Pakistani/International friends. I would also appreciate if someone wants to regularly contribute to it.